A cigar for warmer months, this vitola pairs beautifully with a dry, chilled rose and / or a non-oaked chardonnay. Coronas have been a dying breed since the 90’s when the trend towards thick cigars began. To my knowledge, only 2 other brands produce a corona besides Quai d’Orsay–Montecristo (the #3) and Romeo y Julieta (Cedros Deluxe, No 2.). It’s a sad fact, but in the near future I expect that even those brands will drop the corona. It’s just a matter of time. 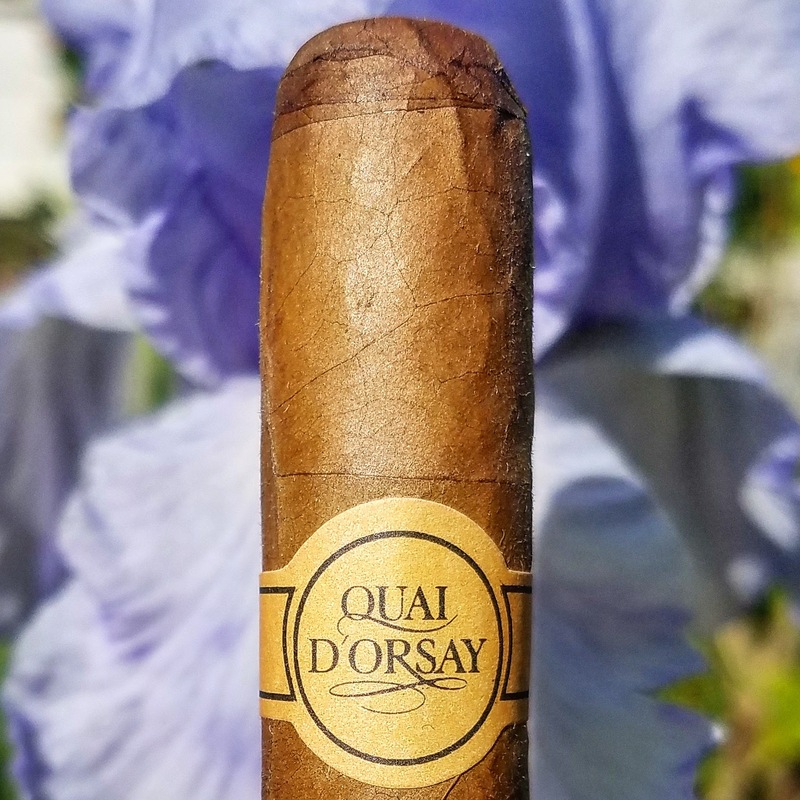 Quai d’Orsay was established in 1973 and is classified a “local brand” by Habanos S.A. (local brands are only available in select markets). It was created specifically for the French market where the taste is for cigars lighter in flavor. To date, the brands portfolio includes only 2 cigars–the Coronas Claro (the subject of this review) and the Imperiales–a Julieta No. 2. The Coronas Claro I selected to smoke is from a box of 25 from February 2015 and is, in fact the first Quai d’Orsay I have ever tasted. In the hand it it feels elegant–firm yet supple to the touch. The color is also unique–Claro–on the light side of the spectrum and something not seen often these days. Upon lighting, the cigar gives off a delicate and refined aroma of brioche and hay, and the burn is very even. Initial impressions is that it is a first-class cigar–reminding me somewhat of the flavor of a Hoyo de Monterrey Double Corona but without that vitola’s undertone of wood. The progression of this vitola is pretty linear–even and consistent throughout with notes of brioche, toasted bread, and nuts. A beautiful cigar to enjoy in the warmer months when you are feeling in the mood for a cigar that will refresh your palate with its lightness and subtlety. I suspect this cigar will continue to improve with age, but it’s absolutely fine at 2 years of age.